Just thinking about Tom Hanks reading his last line as his beloved character Woody from the Toy Story movies, makes me weepy. The Toy Story movies have become some of my all time favorite Disney/Pixar movies. My daughter Payton loves them and has about 20 different Buzz Lightyears, and several Woody’s too. We can’t help but quote lines from those movies all the time. 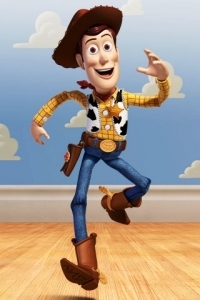 The first Toy Story began in 1995 where we were introduced to the lovable cowboy Sheriff Woody. Tom Hanks captured his reading of his last lines as Woody. Somebody get me a Kleenex. This gives me all the feels. Toy Story 4 is expected to come out this June.